In 1938 Chicago School Scholar Louis Wirth wrote the now famous article ‘Urbanism as a way of Life’. According to Wirth, the modern metropolises that had emerged in the preceding half-century or so, weren’t only striking for their until then unparalleled sizes and shapes. The social and economic clusterings of the industrial city had also brought about a completely new way of life. This he had called ‘urbanism’, or ‘that complex of traits which makes up the characteristic mode of life in cities’. In two recent articles I have taken on this idea of urbanism as a special way of life. I have tried to update the concept for our current age, in which cities can no longer be conceived of as the high density physical aggregation of all those different people with different identities, backgrounds, roles and goals that Wirth discerned. That is: all those differences are still there in the city. Yet, there are so much more means of organizing and connecting than through the means of the physical spaces of the city that the Chicago school saw as its business to map and demarcate. City space, after all, is by now a hybrid space, and this is the era of The Mobile City. So the urbanism of today is one of Boulevards as well as of MySpace, of the ghetto and of MSN, of city streets and mobile phones. The first article is called Locative media and the city: from BLVD-urbanism towards MySpace urbanism recently appeared in Vodafone Receiver interesting themed issue Space is the Place. The second one appeared in the recently published volume Media Cities. Situations, Practices and Encounters, edited by a.o. Frank Eckardt, Jens Geelhaar, Ralf Hennih and Katherine Willis from the Bauhaus University Mediacity Project. This article is called From BLVD Urbanism towards MSN Urbanism. Locative media and urban culture. Great cities are not like towns, only larger, urban activist and writer Jane Jacobs observed almost half a century ago. But what then is it that makes a city into a city? Now that telecom operators, handset builders, and media companies are churning out new media technologies that promise to drastically alter our sense of place, this question has once again become very urgent. Whether we call them locative media, contextual media, or placed based media, these technologies promise to change the way we interact with our surroundings. Let me call this new way of experiencing the city MySpace urbanism. When you’ll ask urbanists, city planners, architects, economists, sociologists or urban anthropologists about the essence of a city, you will probably get as many different answers as there are disciplines concerned with the study of the urban fabric; each answer somewhat cloaked in its own jargon. Yet, if you closely observe what scientists in all these different domains have written about the city, two common themes usually float to the surface: heterogeneity and density. The city is a place that brings together people with a broad variety of different backgrounds in a heavily built up area. People with different ethnicities, lifestyles, professions, economic status, outlook, religion, and etcetera – all find themselves cramped together on a few square kilometres. It is exactly this diversity that leads to what has often been called “urban culture”. Already in the 1920s a scholar of the famous Chicago School of sociology observed that “it is characteristic of city life that all sorts of people meet and mingle together who never fully comprehend one another. The anarchist and the club man, the priest and the Levite, the actor and the missionary who touch elbows on the street still live in totally different worlds.” Yet, ideally, the city is not a mere collection of “urban villages”: isolated enclaves of the like minded. What makes a city a city is that these people with different backgrounds and identities observe each other, interact and are confronted with each other. This process leads to a cross-fertilization of ideas and makes the city a stronghold of innovation, economists will point out. This is what leads to the creation of new lifestyles and identities, anthropologist will say. And this very eclectic mix of lifestyles downplays the effect of social control that had characterized traditional societies, sociologists have pointed out. At the same time, some philosophers claim, the city also provides a spatial composition that enables all these different lifestyles to live together in spite of all their differences. The city, in their view, is a stage on which people display their identity, often unconsciously just by acting out their everyday life. Everyone is a performer and an observer at the same time, constantly making comparisons: are those people behaving in such and such a way like us? Or do they belong to other social groups. “We identify ourselves socially by continuously comparing ‘us’ with ‘them'”, writes Dutch sociologist Talja Blokland. This process has different consequences: it helps us to define who we are ourselves, mixing and matching, rejecting and dismissing elements of lifestyles that we see around us. At the same time, this process could also produce a certain form of trust between citizens, even if they do not belong to the exact same lifestyle group. Some theorists have called this “public familiarity”: we’ve become familiar with unknown others in public places. “The trust of a city street”, wrote Jane Jacobs, “is formed over time from many, many little public sidewalk contacts”. Finally, this process could also produce a political community: we all share the same city space, so whether we like it or not, we just have to deal with each other. Many of these accounts describe idealized (some would say nostalgic) versions of the city, and often refer to cities of a bygone era. It is the cafes lined boulevards and pedestrian passageways of Walter Benjamin’s Paris that is often evoked in these theories. Therefore, we could label these ideas BLVD-urbanism – referring to the broad Boulevards that formed the heart of public life in late nineteenth century Paris. Over the last few decades, quite a few critics have pointed out that many of our cities have stopped to function as such due to different causes. Suburbanization and gentrification have isolated different lifestyles in their own enclaves, limiting the nodal contact points between different groups. The rhythms of our daily lives run less synchronously as well, so that haphazard meetings between different people become less likely. We drive around in automobiles to commercialized “non-places” such as shopping malls rather than stroll around on public piazzas. Yet in many accounts the ideal remains: the city as a site of physical exchange and interaction between citizens, that fosters different communities, enriches individual life, leads to innovation and creates what Dutch Philosopher René Boomkens has called a “community of strangers”. Most of these theories see the city as a purely physical space. So how do these theories hold up in the era in which the city is saturated with media networks such as – to name just a few – GPS, WIFI, UMTS, HSDPA, GSM? Now that mobile and locative media change our interaction with our environment? No longer do we just experience the physical city itself: we SMS and chat with distant friends who in our minds are near at hand. We can inquire about our location, or leave virtual graffiti for those who’ll pass by after us. We can withdraw our attention from our actual surroundings, and into the mediated spaces of these networks. Or we can actively engage with our surroundings through the screens of our mobile phones. Recently, a range of discussions has arisen about these themes. Let’s have a look at some of the points that were brought up. One of the central tropes of BLVD-urbanism is the idea of the city as a stage for comparison, interaction, confrontation and innovation. As Mark Shepard , Danah Boyd and others have pointed out (amongst other places in this journal), at least for the generation of “digital natives” the urban stage has now broadened extensively with the rise of social networks like Facebook, MySpace, Livejournal, Cyworld or QQ. There, identities are displayed through profiles, pictures and widgets, in two different ways. On the one hand, these webpages are performance-sites in the literal sense: Constructing a profile is akin to putting up a carefully directed stage act, or dressing up for a night on the town: what picture, what catchy status-update, what profile description matches best the image that the user wants to portray to the outside world? On the other hand, new iterations of these sites can also display the unconscious rhythms of everyday (urban) life. It is easy now to add widgets to your profile that automatically show the last song that you listened to on your iPod, the last article you read, the last bookmark you made on Del.icio.us, and even your exact whereabouts in the real city. Sites such as Plazes or Bliin let users update each other about their physical location in the city. The places that one visits – tracked and broadcasted by mobile phones with GPS receiver – become automatically a part of one’s performed identity, both in the actual city as well as online. On a higher level, something interesting is going on as well: all these tracks and traces that we are leaving behind can be aggregated. These aggregates can be visualized and projected onto maps and portray a collective culture of what is happening where in the city. MIT’s Senseable City Lab and Citysense are early experiments with these new cultural forms that show us the city and its collective rhythms in new and possibly interesting ways. “Today’s intelligent maps don’t just represent spatial relationships”, Kazys Varnelis has written. “They reveal conditions in the city that were previously hidden in spreadsheets and databases.” They are not just maps in the old sense. They show us real time representations of events in the city – varying from a traffic jam to a gathering of our friends in a neighborhood bar. We can even adjust our own behavior in the city on these maps. We could also use these maps to collaborate on assembling information about the city. During a lecture at a conference we organized in Rotterdam, artist Christian Nold showed the audience a collective map of gardens in Los Angeles that featured trees with low hanging ripe fruit, there for the taker nearby. Other wiki-style maps are currently emerging that can be updated right from a mobile device, varying from restaurant reviews, personal memories, and local news. This means that geographic visualizations – not necessarily the Cartesian grids that are the base of most of our current online maps – are becoming an important interface through which we experience the city. The utopian promises of these technologies go even one step further. When social networks, and the traces we leave in the city are combined, mobile media might start to work as an enhanced “city guide”. Just like Amazon recommends you a book based on aggregated purchase patterns, mobile media might start recommending new places to visit and people to meet. The media will “filter” the city for its users and guide them to the places they would like to go. They could even help us to engage in new communities, or forge “smart mobs” – spontaneous get-togethers in real space with unknown others to achieve a common goal. Adam Greenfield has called this a shift from “browsing” – where we just wander around in the city – to searching – where we are more actively looking for a particular area, function or person in the city. The buzzword language of the dotcom-industry takes the metaphor even one step further. We are not just searching for what we already know, industry pundits argue. These services will help us to “discover” places and experiences that we didn’t even know that we were looking for. Of course its easy to be critical about these utopian visions often put forward by marketing departments of commercial companies that want to sell these services. And certainly not all of these features will indeed become popular. Yet the general direction of these developments is taking shape right now, and we could label them MySpace urbanism. This term refers first to the role of social networks, online profiles and tracking sites as spaces where we perform our identities, through which we connect and which could lead to interaction in the real city. Second, the term “myspace” also implies that these media can help us to personalize the city: to filter out the bits and connections that are of specific interest for us personally, to remake the city in our own image. This way, locative and mobile media promise to make the experience of the city more pleasant, more efficient, more exciting and more manageable. Yet there are also critics who point out that these exact developments endanger one of the central concepts in BLVD-urbanism: serendipity. Serendipity means that it is never fully predictable what or who you will encounter in the city, nor are these unexpected encounters avoidable. It is exactly these inevitable confrontations with unknown others, this experience of “social seams” that is important: through these confrontations trust is build up, a community is forged, and (cultural) innovation is achieved. But when you start “searching” the city, rather than “browse” around, this quality might get lost. Do these critics have a point? They might. In the most extreme negative scenario public space might evaporate. People will use locative media to filter out serendipitous encounters as much as possible. This is a very defensive interpretation of MySpace urbanism, where people use technology to demarcate their space and refuse to let anyone else in: this is my space, now get out! But there is also another way in which MySpace urbanism can be interpreted. A space becomes “yours” when you engage with it. Not to claim it as solely yours, but to actively take some responsibility for that space; when you are actively (and collectively) taking part in its shaping. The collective maps mentioned above can be used as a platforms for exchange and confrontation. They could even help to make collective rhythms visible that until now had gone unnoticed. In reality, we will probably see a combination of both scenarios. People who use mobile media often find themselves constantly shifting between different modes of being in the city. Sometimes they use their technology to withdraw from their actual surroundings, to form a private bubble, to demarcate TheirSpace. At other times, they will use the same devices for more public acts. They will engage in the space around them, and participate in OurSpace. From BLVD Urbanism towards MSN Urbanism. Locative media and urban culture. The goal of this article is to explore developments in locative and mobile media and connect these with reflections on ‘urban culture’. What could the introduction of locative and mobile media and the cultural practices through which they are adapted mean for urban culture? To get a grasp on these developments I have coined eight ‘urbanisms’ or particular manifestations of urban culture that are arising or could emerge from the social practices through which mobile and locative media are appropriated in society: MySpace Urbanism, Google Earth Urbanism, iPhone Urbanism, Starbucks Urbanism, Long Tail Urbanism, Ebay Urbanism and MSN Urbanism. For the sake of argument I will contrast these with BLVD Urbanism, a synthesis of a range of theories on urban culture in the pre-digital modern metropolis. Before I start, I wish to express a word of caution. Many locative and mobile media services are in their infancy. If they already do work, they hardly ever offer the seamless experience that their commercial promoters usually promise. Although this is a very important point to make, in this article I will try to analyze current developments, research findings and trends. This approach is taken not to boost share prices of the telecom-companies and handset makers, but rather to start thinking through in an early stage what the cultural consequences of these developments could be. Another important point I wish to make is to warn against technological determination. These new technologies do not have an outside impact on society. It is through social practice embedded in an existing (urban) culture that these new technologies acquire their meaning and produce new cultural practices and perhaps new urbanisms. And last, the labels that I have chosen for these new urbanisms mostly refer to commercial brands. Again, this is not meant as an endorsement of these brands or their ‘coolness’, but rather meant to emphasize the fact that many of the new hybrid infrastructures and technologies are not public goods; rather it is mostly through commercialized services that we start to experience the city. What exactly do we mean with urban culture? Although the term is used in different contexts, what many definitions have in common is the idea of the city as an ‘organization of differences’. Starting with the Chicago and German School, urbanists have pointed out that the modern city brings together diverse groups of people with diverse backgrounds and different identities, lifestyles and goals. As Robert Park wrote: ‘It is characteristic of city life that all sorts of people meet and mingle together who never fully comprehend one another. The anarchist and the club man, the priest and the Levite, the actor and the missionary who touch elbows on the street still live in totally different worlds.’ (Sennett, 1969: 117). Yet at the same time, others noted that urban culture it is not a simple antagonism of different groups with their particular spatial strategies and practices. Individuals can belong to different groups, loyalties change, (group) identities themselves are unstable and new identities can emerge through confrontation between groups or through lack of social control that had characterized traditional societies. ‘No single group has the undivided allegiance of the individual,’ wrote Louis Wirth. ‘The groups with which he is affiliated do not lend themselves readily to a simple hierarchical arrangement. By virtue of his different interests arising out of different aspects of social life, the individual acquires membership in widely divergent groups, each of which functions only with reference to a certain segment of his personality’ (Sennett, 1969). Urban culture can be understood as the ‘interface’ – both geographically and culturally – that organizes these differences, that makes the city liveable, and that confronts these differences and/or reconciles them into a whole. It encompasses both top-down approaches of space-making (city-planning, policing, law-making), as well as bottom-up ones of appropriation and social spatial processes. So, urban culture is a complicated concept that deals with the relation between urban space and social and political processes such as identity formation and relations between groups. It is about ‘who’ lives ‘where’, and ‘who’ makes the ‘where’ and how the ‘where’ makes the ‘who’, and how the different ‘whos’ relate to each other. In philosophy two concepts are related to the idea of urban culture. The first is ‘Wohnen’ or ‘Dwelling.’ Wohnen is not just about the address on one’s driver’s licence or tax forms. Wohnen is about the process of making or feeling oneself at home, the process in which local structures are appropriated or exerted to express or strengthen one’s (group) identity. My interpretation of Wohnen comes close to this one, given by Norberg-Schulz: ‘Der Mensch wohnt wenn er sich in einer Umgebung orienterien und mit ihr identifizieren kann, kurz, wenn er seine Umgebung als sinnvol erlebt. Wohnen bedeutet deshalb mehr als Unterkunft’ (One can only say to dwell (wohnen) somewhere, when in an environment one can find one’s bearings, and one can identity with one’s surroundings, or shorter: when one can experience his environment as meaningful. Thus dwelling is more than just having a roof over one’s head). (Quoted in Hennig, 2006: 126) . When we look at the literature, there are different conceptions of Wohnen (Boomkens, 1998, Boomkens, 2006, De Cauter, 2004, Soja, 2000). One is a defensive one that is often linked to the suburbs, or the bourgeois-ethos of locking oneself up in a spatial capsule. According to this critique the subject tries to remake the world after its own image, trying to fully control it, overriding the contingency that is so characteristic of urban life. ‘Many suburbanites’, writes René Boomkens, ‘revel in a cult of quasi-authentic dwelling, exchanging the dynamics of modernism for a static sense of being guarded from [these dynamics]’ (Boomkens, 2006: 98) . The second type of Wohnen is the ability to feel or make yourself at home in exactly that contingent urban condition. It can be traced back to theories by Walter Benjamin, who wrote “The street becomes a dwelling for the flaneur; he is as much at home among the facades of houses as a citizen is in his four walls” (Quoted in Varnelis and Friedberg, 2007). The next concept that is related to urban culture is the German term Offentlichkeit, or the public sphere. This is the place and process of confrontation and exchange, of battles of representation, of clashes, innovation, political organization and cultural development. Also the idea of a public sphere can be understood in two different ways: some theories interpret the public sphere as a place for rational debate. This interpretation relies on Habermas’ idea of the public sphere, where citizens irrespective of their background (as long as they weren’t women or other excluded groups that Habermas overlooked) could engage in discussion with one another. Other theories on public culture acknowledge a public sphere that operates on a more subconscious level. It is a place not so much for rational debate, but for bodily performance, for encounter and confrontation with all kinds of means. As Amin and Trhift write: ‘The human body … is usually conceived as a centred cognitive being, as the chief source of agency in the city, setting plans and carrying them out. But in fact very few bodily actions require motive (attribution of intent, justification, accounting) Nearly all the activity of the human body takes place in what Lakoff and Johnson call the cognitive unconscious’ (Amin and Thrift, 2002). Public space thus becomes a stage where subjects acquire an identity through performance. In his interesting essay Drag Spaces Neil Leach refers to Judith Butlers theory on performance to make a similar point. According to him performance is a matter of remixing (bodily) citations and quotes that subjects copy from others through mimetic processes of confrontation and identification in public space. ‘Butler figures identity not as something interior – an essentializing given – but rather as something exterior, a discursive external effect. It is borne of acts, gestures and enactments that are performatively repeated’ (Leach, 2005: 175) . Most of these theories on urban culture are not neutral analysis but rather ethical stances. Take for instance this quote from Richard Sennett: ‘Cities have the potential to make us more complex human beings. A city is a place where people can learn to live with strangers, to enter into the experiences and interests of unfamiliar lives. Sameness stultifies the mind; diversity stimulates and expands it’ (Sennett, 2001). In other words, it is imperative that we all become flaneurs and embrace an active public culture. I will call this stance BLVD-urbanism, after the Hausmannian Parisian Boulevards that form one of the main icons of the centralized modernist metropolis, home to Habermassian coffeehouses and Benjaminian flaneurs, connecting the public space of the inner city with the more private dwelling area’s on the outskirts, while also stressing the powers of the central state in the process of place making. To sum up, BLVD-urbanism is the idea of the metropolis as a place where people with different identities live together. Traditional ways of life are exchanged for a more free floating modern experience that is both exciting and threatening. The public spaces of a city play an important part, these are where differences are confronted with each other. A well functioning urban society cannot do without these public spaces. As Boomkens writes, ‘Thanks to its public places, the city creates its own sphere in which individuals are more than just subjects of a particular state and at the same time also more than just anonymous and abstract actors in a worldwide market economy. … The city creates a community of strangers’ (Boomkens, 2006: 114). Yet, the mere existence of these spaces is not enough. It also requires that citizens do not entrench in their defensive dwellings. They should actively take part in a public culture. Many discussions on contemporary urban culture claim that this BLVD-urbanism is under attack. The advent of the automobile, television, suburbanisation, the internet, neoliberalism, individualization, globalization have remade the city into a different entity: it is now an automobile dependent poly-nucleated amalgam of edge cities, more a product of the logic of the space of flows than that of a localized culture, full with uprooted cosmopolites, either cosmopolites by choice such as the creative class, or cosmopolites by necessity, such as the many migrants who have flocked to these cities (De Waal, 2007). Commercial forces turn public spaces into privatized non-spaces while consumers have now replaced citizens. As Sennett has written in The Uses of Disorder, urban culture is no longer about a ‘display of difference’ but a ‘play of difference’ (Sennett, 1970), that goes hand in hand with indifference towards each other. To put in the phrases of zeitgeist magazine Wired: Public culture is ‘tired’, defensive dwelling has become ‘wired’. The scope of this essay doesn’t allow an in depth analysis of all these claims, but it should suffice here that there are four different critiques. The current metropolis can be characterized by a shift from citizens to consumers, from public space to private space, from space to non-space and from inclusive community to excluding ‘tribes’. Thus Manuel Castells concludes one of his essays on urban culture as follows: ‘Cities have always been communication systems, based on the interface between individual and communal identities and shared social representations. It is their ability to organize this interface materially in forms in rhythms in collective experience and communicable perception that makes cities producers of sociability, and integrators of otherwise destructive creativity … How to safeguard this Culture of Cities into a New Culture of Cities, geared towards the information age that may or may not create urban tribes rather than citizens?’ (Susser, 2002: 382) . From this definition it is hard to make a true division between locative media and the broader category of mobile media. As different researchers (Bull, 2000), (Ito et al., 2006) have pointed out, mobile media such as the mobile phone or the personal stereo are often used in a way described by Bleecker: creating or appropriating a geospatial experience. More abstractly, Marc Tuters and Kazys Varnelis see two categories of locative media. One is annotative – these are media technologies that allow its users to virtually tag (and consequently filter) the real world. The second is phenomenological – tracing the action of a subject in the world (Varnelis and Tuters, 2006). Another way to categorize these new media is between media that take an actual spatial context of a communicative practice as its point of departure (for instance a ‘mobile city guide’ that gives touristic information about a particular location) and media that provide a virtual but spatially organized interface related to an actual geography for communicative and informational practices (for instance a Google Map that is connected with traffic or crime information or live feeds from local weblogs). Combining these different points of view, we can differentiate between (at least) six ways in which locative and mobile media can transform our notions of urban culture. • The use of spatially organized interfaces to information databases, for instance Google Earth-mash ups. • The mapping or tracing of objects and persons and the use of locative media as tools for micro-coordination such as real time and real space social networking. • The use of locative media as filtering devices: either selecting relevant places from the perspective of the subject. Or the other way around: systems that grant or refuse access to certain places. • The use of locative media as a ‘space making devices’, altering the experience of a certain space through its use. For instance mobile phones or personal stereo’s or urban screens. • The issue of address: framing space and/or subjects in a certain way, providing us with ontologic metaphors, starting to understand our subjectivities in other ways. In what follows I will try to connect this perspective on locative and mobile media with the concept of urban culture and especially the notions of dwelling and public sphere. The basic assumptions of what I have called BLVD Urbanism are used as ideal-typical frames of reference. Not necessarily because I underwrite all the claims, of BLVD Urbanism, but to get a better grasp on what is different and what is not. Of course the risk of this approach is that we end up with urbanisms described as ‘horseless carriages’, or rather simplistic remediations of the old, rather than coming up with terms that accurately describe phenomena that are perhaps truly new. I will try to avoid this by summarizing the most striking shifts in urban culture in the last paragraph called MSN Urbanism. As I have mentioned above, in many discourses about urban culture, the city is described as a stage for identity formation. The city is a stage for bodily performances through which subjects shape their identities. In her book Goeie Buren houden zich op d’r eigen Dutch sociologist Talja Blokland shows how this process used to take place in the Rotterdam neighbourhood Hillesluis (Blokland, 2005). She describes how people used their daily routinely interactions in their neighbourhood to discern between different social categories. Performed behaviour of co-citizens showed them whether they were like themselves, or whether they belonged to other social groups. ‘We identify ourselves socially by continuously comparing ‘us’ with ‘them’. (Blokland, 2005), Blokland writes. The behaviour of people that ‘we’ like to identify with also provides a repertoire of behavioural codes, while the behaviour of ‘them’ could also function as frame of reference of how ‘we’ do not behave. Blokland uses the concept of ‘public familiarity’ (minted by Fischer (Fischer, 1982)), to describe this process. ‘[public] familiarity’ provides knowledge, and we can use this knowledge to make social distinctions.’ (Blokland, 2005: 92). Carlinde Adriaanse also uses the concept of public familiarity in a slightly different way: ‘Public familiarity emerges from recurrent encounters between people in public space that enables them to assess who they can trust and who they can’t.’ (Adriaanse, 2006). She uses a quote by Jane Jacobs to make her point: ‘‘The trust of a city street is formed over time from many, many little public sidewalk contacts.’ (Adriaanse, 2006). Such ‘trust’ or ‘public familiarity’ can only arise when there are sufficient ‘social seams’ (another term by Jacobs) where people with different backgrounds can run into each other routinely. Exactly that is one of often stated problems of our current era urban culture. Blokland has described how through many different processes the neighbourhood has lost its position as a collective stage or as meaningful social seams. Due to increased mobility, the neighbourhood has become a less important stage for everyday life. Second, lives of neighbourhood dwellers are lived less synchronously than before. One of the issues up for debate is the question whether online and locative social networks can be understood as remediations of processes of public familiarity, social identification and trust-building. Can we speak of a nascent Myspace Urbanism? When looking for processes of public familiarity or trust building, it doesn’t take a huge conceptual leap to go from urban public space to online social networks. As Dana Boyd writes: ‘because the digital world requires people to write themselves into being, profiles provide an opportunity to craft the intended expression through language, imagery and media. Explicit reactions to their online presence offer valuable feedback. The goal is to look cool and receive peer validation.’ (Varnelis and Friedberg, 2007). Boyd describes how American teenagers use their profile pages to perform their identity. And through all sorts of widgets, they can also publicize their favourite music, their agenda, their favourite films etc. Thus Boyd concludes that ‘hanging out has moved online’ (Varnelis and Friedberg, 2007). That however seems only part of the story. Online social networks also show many links to real life activities, for example through Facebook’s ‘Status Updates’ that enables users to tell their contacts what (and where) they are currently doing. A series of new mobile services has emerged around this idea: microblogging services like Twitter, or Jaiku let you update your ‘status’ from your mobile phone, services like Plazes or Bliin let your contacts know where you are in the city. It thus becomes possible to watch our contacts – or at least their representations on social networks – closely as their life unfolds. We can identify ourselves with their lifestyles, and use their behaviour as a series of cues for our own practices. Our lives may indeed be less synchronous both in time and space, microblogging makes the process of public familiarity and socialisation distributed. These developments leave a lot of questions. The first is how ‘public’ this hybrid version of public familiarity really is, since we usually only follow the lives of friends and friends of friends. On most social networking sites it is even impossible to get acquainted with some-ones performance without authorization of that person. Will we thus be able to learn the subtleties in the behaviour of ‘others’ through social networking? Another issue related to MySpace Urbanism regards social control. Is our increased visibility to friends and peers either liberating or increasing social control? Castells and others write how the mobile phone has changed socialization structures. Young people are less influenced by their parents, and more by their peers; the process of socialization has become more horizontal. (Castells and a.o., 2007: 141). In The Neherlands, similar findings have been reported in Jaarboek ICT en Sameleving: De Digitale Generatie (De Haan, 2006). Castells a.o. see the emergence of a ‘networked sociability’: ‘It includes, naturally, the Internet and mobile phones, but it can also be face to face. The critical matter is not the technology but the development of networks of sociability based on choice and affinity, breaking the organizational and spatial boundaries of relationships’ (Castells and a.o., 2007: 144). However within these groups, with all these media through which users can update each other on their ‘status’, social control could actually be on the increase. While the often lauded advantage of the modern city was the fact that its public urban culture provided a certain degree of anonymity, and liberated individuals from their traditional identities. Exactly this anonymity could be at stake. MySpace Urbanism is thus about the city as a hybrid stage in which performance in online social networks and real space are related to each other. 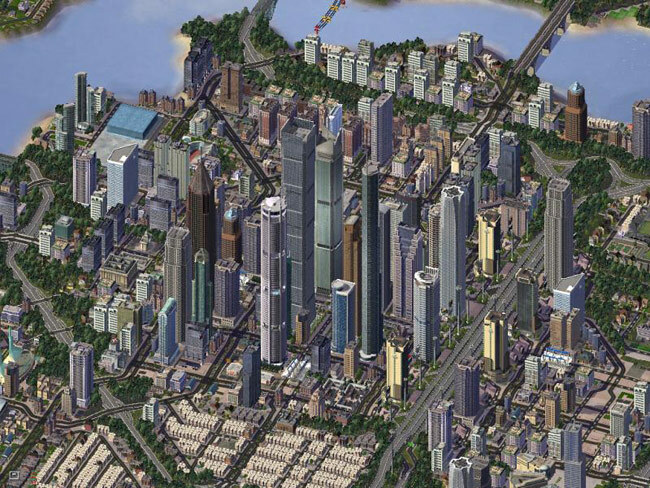 The idea of Google Earth Urbanism is related to this concept, but works in a slightly different way. It is not so much about performing one’s identity, but about the traces these performance could leave behind in the city, either to claim a certain space or as an act of communication with known or unknown others. There are two ways to do this: through ‘geotagging’ or through ‘life-blogging’. Geotagging is the process in which urbanites either add data to a particular place or add geographical metadata to existing information. In both cases it is about making a connection between information and place. Planting new pins on Google Earth and connecting them with photographs, webpages or other information is an example through which layers of information are added to physical locations. Lifeblogging is a term used by the telecom industry that means that actions of users of particular devices are automatically marked up with (geographical) metadata and saved into an archive. For instance with the Dutch service Bliin users can save the path they take through a city, display it on online maps and share it with others. Photo’s taken along the route are also automatically placed on the map. One purposely records one’s traces in actual space and keeps a virtual record of them. Of course, as Malcolm McCullough has pointed out, inscriptions are nothing new to the city. (McCullough, 2006) From monuments and frescos to graffiti and stickers, both authorities and users have been adding their particular tags to city space. However, new technologies potentially open up this process to larger groups of users. Locative media could thus provide the public with new tactics to appropriate space to counter the superimposed orders of city planning and commercialization etc, perhaps even creating urban ‘folksonomies’. We find a similar proposition in the work of William Mitchell. In the examples above, the authors describe locative media as a potential positive force that enables citizens to name and claim their own spaces. However, at the same time we also see other trends, such as the emergence of a discipline like geodemographics. In this marketing discipline, software is used to analyze consumptive patterns and connect these to geographical area’s, effectively tagging these areas as the domain of certain lifestyle groups. In their article Geodemographics, Software and Class Roger Burrows and Nicholas Gane describe how large marketing companies are gathering data about consumption patterns of individuals. They do this by aggregating data from loyalty cards, subscription databases, and other sources. It is a practice that is not very different from Life Blogging, yet with other purposes. From an analysis of these data, about 50 different lifestyle-types are drawn-up and connected to particular postal code areas. Different marketing companies use different lifestyle-types. Burrows and Gane have found amongst others ‘Happy Families’, ‘Burdened Optimists’,’Coronation Street’, ‘Counter Cultural Mix’, ‘Pastoral Symphony’, ‘Bungalow Retirement’, ‘Prudent Pensioners’ and ‘Blue-collar Roots’ (Burrows and Gane, 2006: 799). These categories are tailored for the customers of these marketing organizations: other companies who want to know where their prospective customers might live. Categories are exclusive (one can only belong to one lifestyle type), and each postal code area is labelled by a select number of lifestyles. ‘You are where you live’, is the motto of the companies that collect and analyze these data. With Amin and Thrift, Burrows and Gane state that these categories are one more way in which the city is being fixed: ‘The map, the census, postcodes, area codes, license plates and other means of producing location have been joined to technologies like GIS, global positioning systems and so on … to produce spatial categorizations, so that the portion of human subjects dwelling in databases becomes increasingly determinate.’ (Burrows and Gane, 2006: 804) . These datasets are not only used by companies deciding on new franchise locations, but are also accessible for consumers themselves. The popular Dutch real estate website Funda.nl connects each listing of houses for sale with the three dominant lifestyle categories found in the area. Burrows and Gane conclude that such ascriptions of identity to local areas might work in different ways. First they can produce feelings of belonging (or un-belonging): I feel at home in this neighbourhood, because people that live here are like me. [these services] ‘are successful with the consuming public because they are designed to make individuals feel at home somewhere, both socially and physically’ (Burrows and Gane, 2006: 809). They might even become a sorting force in their own right. Prospective house buyers might decide to locate or not locate in a specific neighbourhood based on the lifestyle categories provided by these services. These services also stress consumption as key identity markers: ‘Now more than ever before, for example, the places in which we choose to live, eat, holiday, and more generally consume are key factors in defining who we, as individuals, are, and the social groupings to which we aspire to belong.’ (Burrows and Gane, 2006: 809). Now, it is easy to see how locative and mobile media might attribute to this sociology-for-the-market. If customers agree, a lot of data can be automatically gathered and added to their databases. With lifeblogging and geotagging users are not only ascribing their own meaning to urban space. The same data could also be used to determine marketing lifestyle categories and fix these to specific locations. Both Google Earth Urbanism and MySpace Urbanism are about a display of identity. iPhone Urbanism works the other way around, it is about using mobile and locative media to create a new private space within the public space of the city. Being in the city means being in the crowd. That can be both an exciting and liberating as well as a threatening experience. Already in the beginning of the last century Simmel noted that contemporary urban culture ‘forces us to be physically close to an enormous number of people’. It would be impossible to deal socially with all these people and the solution described by Simmel is to objectify social relationships, i.e. to act as if the other does not exist (Bull, 2000). Fujimoto, in a study of mobile phone use by teenagers in Japan, describes the keitai – as it is called in Japan – as a ‘jamming machine that instantly creates a territory – a personal keitai space – around oneself with an invisible minimal barricade. With a keitai a girl can turn any space into her own room and personal paradise.’ Michael Bull, has studied how the Walkman and later the iPod changed our sense of place in a similar way. These technologies give their users an active role in the process of place-making: they can customise the soundtrack of their surroundings. “Listening to their own music gives listeners a feeling of control, it gives the world a known soundtrack that connects the dots between fragmented spaces and helps to exclude unwanted contingency. With their music, they ‘cloak the alien with the familiar’ (Bull, 2000: 74) . These defense-mechanisms are somewhat different than the ones Simmel saw in his railroad and newspaper-days. Current tactics are not only defensive shields, or ‘space-makers’, they can also be understood as centring devices. There is a difference in hiding behind a newspaper and hiding beneath one’s earphones connected to an iPhone or other device that plays a customised soundtrack from one’s own personal library and allows private sms-messages from trusted persons within one’s own network. One could even go one step further. Where once the suburbs where seen as the ordered safe haven alternative to chaotic city life, now the mobile phone can become a tool that brings order to the chaos. This however is a personal order, imposed on an individual or networked-group basis, just like the bottom-up folksonomies and tagging systems that now are supposed to bring order to the chaotic information spaces of the world wide web. The (virtual world) remains a chaos, but it becomes possible to reorder and customise the system instantly, over and over again. The mobile phone or the iPod can be seen as taming systems, that as Anthony Townsend writes, can make urban sprawl liveable and navigable. (Townsend, 2000: 89). Yet again there is a difference between retracting in the safe spatial surroundings of the suburb (defensive dwelling) and putting on earphones within the city: the earphones can easily be removed, one can easily shift between defensive and more offensive ways of dwelling. In fact one can do both at the same time, the juxtaposition between these two positions becomes more like a gradient than a binary one. Where iPhone Urbanism is about ‘space making’, or using networked information structures to domesticate the contingencies of the city, Starbucks Urbanism is about the physical consequences of this. At what kind of sites do we feel at home in the city? The coffeehouse is of course one of the central tropes in BLVD-urbanism. It represents both Habermas’ thoughts on the public sphere, as a place where anyone can lay-off their subjective identity and participate as equals in the debate. And – if we include the outside terraces with a view of everyone who passes by on the sidewalks – it can also be seen as a central spot for the flaneur. It is in other words, it is a place where the seams of society can be experienced, a true public space. No wonder that some theories on today’s urban culture start off with scenes from today’s coffeehouses, the paradigmatic Starbucks. Yet this time the designer-coffee house is usually presented as an example of what went wrong with urban culture. In Starbucks people congregate not so much to communicate with one another. Rather they use it as a comfortable semi-public base in which they read a book or the daily newspaper, check their mail or from which they keep in touch with their personal friends or colleagues through the 3 and 4-letter acronyms that make up the network society: GSM, SMS, UMTS, WIFI. Coffee is not the base for a social ritual, but a caffeine-rich productivity booster. (Although no one goes as far to completely deny that people do use Starbucks to meet other people). As Marc Tuters writes in a key essay on locative media, this emerging Starbucks culture has often been described as antithetical to the public culture of the coffeehouses. Camping is not so much about shutting out the environment, it is slightly different from telecocooning: ‘people saw value in residing for a period of time in a desirable location. Just as people seek out beautiful campsites to set out there gear and reside for short periods of time, urbanites find attractive public places to temporarily set up camp with the help of their information technologies.’ (Ito et al., 2007) For campers Starbucks is not a proverbial non-place, but a local place they engage with, where they perform their identity, yet at the same time keep in touch with absent others, still being part of their ‘full-time intimate communities’. Yet, this still leaves some questions. To what extent are the sites of Starbucks-urbanism semi-private dwellings rather than public spaces? And if they are mainly experienced as non-contingent home sites, to what extend is that a threat to urban culture? Are critics clinging on to old, nostalgic ideas about a public culture? Should we perhaps look at other places than the coffeehouse for social seams? Or could new locative media ‘discovery’ services introduce new forms of contingency into Starbucks Urbanism? Urban culture is thus a double process: on one side it is about crafting one’s own place in the city. And on the other hand it is about connecting or being confronted with others. What is the role of locative media in the latter process? Could locative media help in reinstalling some of the contingency that plays such an important part in BLVD Urbanism? Could Chris Anderson’s theory of the Long Tail provide any insight? The Long Tail-theory claims that in the digital universe, new ways are emerging to introduce customers to a wider variety of content. This is done by analyzing the media use of a user and comparing it with that of others. A special algorithm then recommends new products. (Buyers of this book also bought … Your friends are listening to …). In the new media industry this principle is sometimes called ‘discovery’. While ‘search’ is about helping people finding what they are looking for, ‘discovery’ guides them to products or places they didn’t know they were looking for. Mobile phone and navigation companies are right now in the process of experimenting with such discovery services. Rather than new books or CDs to buy, these services help you ‘discover’ unknown places in the city, or set you up with people you might like to meet. For instance, the American service Dodgeball can recommend you friends-of-friends that have reported to be on a specific location near you in the city. Can we understand such ´discovery´-processes as a remediation of the confrontations that are supposed to take place in the public sphere of BLVD-urbanism? Do services like this bring the contingency back into urban culture? Or should we understand it as a comfortable yet pseudo-contingency, since all the recommendations are ultimately based on your personal profile rather than truly contingent. They may even purposely filter out unwanted contingencies. In other words: does Long Tail Urbanism promote dwelling or rather public culture? It is interesting to connect the idea of Long Tail Urbanism with the insights of Claude Fischer. In his 1975 article Towards a subcultural theory of urbanism (Fischer, 1975) Fischer writes it is likely that in large cities different subcultures will emerge. The density of cities accumulates critical masses of individuals with particular lifestyles who will be able to meet up to perform their particular subcultural lifestyle (Fischer, 2005). Cities, do not necessarily lead to anomy, as some Chicago School scholars would have it, but rather to cultural specialization. The findings of Anthony Townsend three decades later provide an idea of how the mobile phone might have a similar effect. The mobile phone may lead to what he calls a speeding up of the ‘urban metabolism’. The mobile phone enables people to form their own decentralized networks, and to perform these spatially. This doesn’t lead to the annihilation of space through time, but rather to the possibility to appropriate even minute spatial differences: ‘The use of mobile phones offers an ever-finer level of identifying and exploiting minute variations in conditions between location, the micromanagement of space as a result of the micromanagement of time and the always-accessible individual’ (Townsend, 2000:100) . So rather than the coherent, universal modernist order of large institutions, we now have the co-existence of independently superimposed orders of individuals or groups of people. Spaces become heterotopic places, where meaning can become imposed through all sorts of virtual grids that can be superimposed on actual space. In other words, mobile phones, social networks and geo-annotation might lead to strengthen subcultures and connect individuals with the like-minded. Shirvanee’s viscosity might well be a subcultural viscosity, rather than strengthen urban culture in general. This might lead to a paradox: the total number of different lifestyles may increase, since locative media could enhance the cultural specialization that Fisher thought so characteristic of Urban Culture. They might even live very close together or use the same urban spaces, yet whether this will also lead to a growing number of confrontations and thus Sennett’s valued experience of complexity remains to be seen. Where Myspace-urbanism deals with processes of identification through performance in both public space in the city and media networks, and Long Tail Urbanism is about connecting different subject with one another, Ebay-urbanism deals with trust amongst citizens. Will locative media enable new systems that can build trust amongst different groups within the city? The reference to Ebay is based on the reputation systems that Ebay uses to build trust between buyers and sellers. After the transaction, both parties can leave feedback on the other’s behaviour. Did the seller really deliver the article as promised? Did the buyer actually pay? Ebay functions as the institutional party that runs the reputation system. They have provided the software and the interface design. They have determined the behavioural categories that are to be rated as well as the algorithms that come up with the scores. They have set the rules and even an arbitration service to settle disputes. So what exactly will these reputation-systems – if they are ever to function properly – be used for in urban culture? And who exactly will provide the institutional embedding? Who will provide the categories, the rating-algorithms, the arbitration services? The government? Commercial providers? Citizens themselves? Authors like Howard Rheingold start off with examples off simple possibilities to set up connections between citizens, like enabling ride sharing for commuters (Rheingold, 2002). Rather than picking up a stranger, the reputation system will provide you with a high probability that the anonymous will not run of with your car at the filling station. Similarly, reputation systems could be the base for Long-tail urbanism that introduces citizens to unknown others. Reputation-systems are already in use in relations between customers and companies. Ito, Okabe and Anderson use the concept of ‘footprinting’ (Ito et al., 2007) to shows how consumers carry loyalty cards that are used by companies to discern between regular and loyal customers. Customers can earn points for each transaction, and they may reclaim certain benefits when a certain amount of points is collected. While earning points, they leave a trail of digital footprints (their transaction records). Currently this system works mainly through swipe cards, but in the future it could easily work through RFID-chips or mobile phones. Some people internalize the logic of these cards: they work their itineraries in the city out in such a way to maximize bonuses connected to the cards, their daily routines are adjusted in order to collect as many points as possible. Other users are more or less indifferent to them. In their book Mediapolis Schuilenburg and De Jong take a critical approach of the trend in which rating systems become more prevalent. They connect this development to a broader cultural shift in which civil rights are no longer indefeasible, but have to be ‘earned’, or are related to your reputation. For instance, in some countries drivers loose their licence when they have collected too many penalty points. They see a trend in which these systems of accountability become more prevalent and are also connected with the tendency to militarize urban spaces. They call the latter phenomenon the urban container: capsular spaces that look like public spaces, but are in effect private spaces such as shopping malls or atria. Access to these spaces is granted by the owners, and this right can be abolished at any time. Access could be tied to reputation systems, where citizens with too few or too many points are simply kept out. ‘In the culture of control accountability systems will arise that will coerce us to live up to their unwritten rules. We are no longer born with unalienable and fundamental rights but we will have to earn them by performing or refrain from certain acts’ (Schuilenburg and De Jong, 2006: 46) . That doesn’t mean that physical urban space don’t matter anymore. Rather the mobile phone guides us to places where we feel at home, because the interior is familiar, or the crowd is like us. And if we are really adventurous, it could guide us to truly unknown places. The practices in which people use mobile media create networked urban spheres. It connects parochial spaces with social networks. However, these same media devices can also be used for sharp delimitations, providing or preventing access to physical spaces, thus producing a ‘splintering urbanism’. (Graham and Marvin, 2001) Just like you can ‘ban’ people from your MSN-account, and form your own personal network where strangers are not allowed, some locative media practices lead to a similar spatial effect. In his Splintering Urbanism and Software Sorted Geographies critical geographer Stephen Graham claims that the city as an urban interface for the organization of differences now has competition from software interfaces and their algorithms. (Graham, 2005) For example locative media might be used to grant or prevent access to certain spaces. ‘Smart’ places might analyze who is coming in, through rfid, biometrics or algorithms analyzing images taken by cctv software, and may sound an alarm when people without the right reputation try to enter, or when ‘abnormal’ behaviour is detected – where abnormal is encoded into the software. Software also plays a role in a shift that Graham sees from the Keynesian welfare state to a neoliberal economy. In the first, cities can be understood as sets of infrastructures that are rolled-out on basis of equality for all city-dwellers. In the latter, infrastructure is sold as urban service to consumers on a pay per use base, for instance through electronic toll charges on highways. (Graham and Marvin, 2001) These locative technologies address their users in a new way: they are not addressed as equal citizens, but as private consumers. This might in the end undermine the whole concept of a public sphere, and lead to the further production of a splintering urbanism, where people start seeing the city not as a community but a range of services they can or cannot consume, and where the production of those places is geared towards those consumers and their consumption patterns. Adriaanse, C. (2006) Publieke Familiariteit in Buitenveldert. City Jounral. Amin, A. & Thrift, N. (2002) Cities: Reimagining the Urban, Cambridge, Polity. Auge, M. (1995) Non-places : introduction to an anthropology of supermodernity, London, Verso. Bleecker, J. & Knowlton, J. (2006) Locative Media: A Brief Bibliography And Taxonomy Of Gps-Enabled Locative Media. Leonardo Electronic Almanac. Boomkens, R. (1998) Een drempelwereld : moderne ervaring en stedelijke openbaarheid, Rotterdam, NAi Uitgevers. Boomkens, R. (2006) De nieuwe wanorde. Globalisering en het einde van de maakbare samenleving Amsterdam, Van Gennep. Brooks, D. (2001) obos In Paradise: The New Upper Class and How They Got There New York, Simon & Schuster. Burrows, R. & Gane, N. (2006) Geodemographics, Software and Class. Sociology, 40, 793-812. Castells, M. & A.O. (2007) Mobile Communication and Society, Cambridge, MA, MIT Press. De Cauter, L. (2004) De capsulaire beschaving. Over de stad in het tijdperk van de angst, Rotterdam, NAi Publishers. Fischer, C. (1975) Towards a subcultural theory of urbanism. American journal of sociology, 80. Fischer, C. (1982) To dwell among friends. Personal networks in town and city, Chicago, University of Chicago Press. Fischer, C. (2005) Theories of Urbanism. IN LIN, J. & MELE, C. (Eds.) The Urban Sociology Reader. New York, Routledge. Florida, R. (2002) The rise of the creative class : and how it’s transforming work, leisure, community and everyday life, New York, Basic Books. Graham, S. (2005) Software-Sorted Geographies. Progress in Human Geography, 29, 562-580. Graham, S. & Marvin, S. (2001) Splintering urbanism : networked infrastructures, technological mobilities and the urban condition, London ; New York, Routledge. Haan, J. D., Hof, C. Van ‘t (2006) Jaarboek ICT en samenleving 2006. De digitale generatie, Amsterdam, Uitgeverij Boom. Ito, M., Okabe, D. & Anderson, K. (2007) Portable Objects in Three Global Cities. University of Southern California. Ito, M., Okabe, D. & Matsuda, M. (2006) Personal, Portable, Pedestrian: Mobile Phones in Japanese Life. , Cambridge, MA, MIT Press. Leach, N. (2005) Drag Spaces. IN Gutierrez, L., Ruggeri, L. & Portefaix, V. (Eds.) Hk Lab 2. Hong Kong, Map Book Publishers. Lloyd, R. (2005) Neo-Bohemia: Art and Commerce in the Postindustrial City, New York, Routledge. McCullough, M. (2006) On Urban Markup: Frames of Reference in Location Models for Participatory Urbanism. Leonardo Electronic Almanac. Mitchell, W. J. (2003) Me++ : the cyborg self and the networked city, Cambridge, Mass., MIT Press. Rheingold, H. (2002) Smart mobs : the next social revolution, Cambridge, MA, Perseus Publishing. Schuilenburg, M. & De Jong, A. (2006) Mediapolis, Rotterdam, 010 Publishers. Sennett, R. (1969) Classic essays on the culture of cities, New York,, Appleton-Century-Crofts. Sennett, R. (1970) The uses of disorder : personal identity and city life New York, Norton. Sennett, R. (2001) A flexible city of strangers. Monde Diplomatique. I particularly like the “Starbucks Urbanism” section of the second article, and your invocation of the concepts of “absent others” and “camping”. The idea of extending the concept of “home” from a place to a mode of being – via a sense of mobile familiarity – gives me further food for thought.